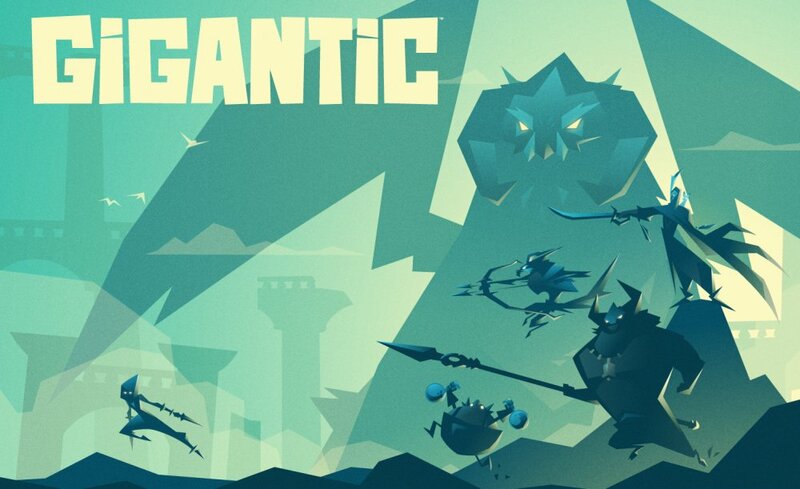 If you haven’t heard of Gigantic, it is a free-to-play shooter MOBA where heroes battle alongside a massive guardian. You guardian fights at your side and resurrects you when you die. As for the heroes of Gigantic, they consist of wide variety of different play-styles. Whether you come from FPSs, MOBAs, or action games, there’s a hero you will find familiar. Keep in mind that I haven’t played the game myself since it is in a closed Alpha, and that these are my favorite heroes based on what we know. Tyto’s play-style is focused on fast and deadly melee combat. Tyto also has a pet named Fang, which helps in combat. – Talon – A sword combo attack. – Swoop – Leap as you lunge with your sword. – This skill works best as a way to get into and out of fights, and also functions a way to get around the battlefield. – Blade Dance – Spin your sword to move fast and attack in all directions. – This skill creates a whirlwind that deflects incoming projectiles. – Fang – Fang attacks the enemy you target. – This is a great way to start a fight and apply persistent damage while Tyto finishes up with other attacks. – Fang can be upgraded to chase down foes or bypass enemy armor. – Blur – Rush forward in a blur, delivering a bleeding wound to enemies you pass. – This skill requires a bit more planning that most, since it does its best damage when all the enemies are lined up. It also acts as an effective way to catch up with enemies. Tripp is an assassin who can carve up and enemy, then escape to safety before the rest of the team can react. – Lightning Strikes – Deliver lightning-fast dagger attacks. – Use to deal out high damage on weak targets or creatures. – Plasma Blades – Throw daggers to inflict ongoing bleed damage. – This is Tripp’s main way to pick-off enemies at range. Very good for getting a last hit on an enemy running away. – Electric Slide – Glide forward rapidly. Tap again to make a kick attack that launches enemies upward. – Can be used as a distance closer, highly mobile damage ability, or crowd control in an emergency. – Flashdance – Become invisible for a short time. – Bladestorm – Unleash a flurry of melee attacks that interrupt your target. – This skill deals great burst damage to finish off an enemy, since its hits are inescapable. Whether you have or haven’t heard about Gigantic before this article, check out its website and tell me who your favorite heroes are. I’d be interested to see which hero people like the most!